April started well: Intel has finally unveiled the remaining processors, Coffee Lake, and with them younger as well, 300-series. At the same time there appeared again a game AMD and NVIDIA. To rejoice, however, was not long since in the middle of the month significantly increased the dollar, and with it the price of the computer equipment. Alas, but in may this will have something to live on. and is based on the architecture of Zen+. Of course, in this issue of the “Computer of the month” lists the assemblies that use the new chips Ryzen Ryzen 5 and 7. For those who looked to us at the light for the first time, it will be useful to study the last issue, which covers all aspects of choosing components for the six assemblies: starter, basic, optimal, advanced, maximum, and extreme. Don’t see the point to chew each time is the same, so this issue will be described mainly alternative versions of the assemblies and methods to reduce or, conversely, more expensive systems. Recall that in the heading represent the average prices at “Yandex.Market” (the region of Moscow). Depending on the location and of the selected trading platform you can assemble the same system unit as cheaper and more expensive. The cost of peripherals and software in the calculations is not taken into account, are only evaluated components. The “entry ticket” to the world of modern PC games. The system will allow you to play all the AAA projects in Full HD resolution at least at medium graphics quality settings. Such systems do not have significant reserve strength (over the next 2-3 years), replete with compromises, but are smaller than the other configurations. Processor AMD Ryzen 3 2200G, 4 cores, 3,5 (3,7) GHz, 4 MB L3, AM4, BOX 8 000 RUB. Intel Core i3-8100, 4 cores, 3.6 GHz, 6 MB L3, LGA1151-v2 8 000 RUB. • MSI B350M PRO-VD PLUS 4 500 RUB. • H310M GIGABYTE DS2 4 500 RUB. • MSI GTX 1050 Ti AERO ITX 4G OCV1 15 000 RUB. • Cooler Master DP6-9GDSB-PL-GP 500 RUB. • Thermaltake Smart RGB 500 W 3 000 RUB. Total AMD is 41 000 rubles. Intel — 41 was 500 RUB. Let me remind you that the last issue was written before the official presentation of the Junior Intel processor Coffee Lake, so the cost of some of the motherboards had to… to predict, on the basis of the data available to me. Now, in may, problems with the budget matplotlib on the H310 chipset Express and Express B360 is not observed in the table are the best available device at the time of this writing. There’s nothing you can do about it — these are the characteristics of the starting and reference assemblies. Naturally, the bulk of the budget (which in the Assembly AMD that Intel build) is spent on the processor and graphics card. In case of configuration with the cost H310 Express is a Quad-core Core i3-8100. Unfortunately, in the starting Assembly was attended by the Intel dual-core Pentium chip G4560. He now looks good in some games, but only some. It often happens that the two “heads” and Hyper-Threading technology is not enough to ensure smooth FPS in modern games. Such projects can be attributed to Watch_Dogs 2, GTA V, Assassin’s Creed: Origins. And yet in the comments periodically criticize the “Computer of the month” for the fact that even the cheapest build in the article is worth a lot. Totally save in the case of Intel you can on two things. Instead of the Core i3-8100 can take Pentium Gold g5400 is the savings amount to 2 500-3 000. Is GeForce GTX 1050 Ti you can take GeForce GTX 1050 — savings will be 3 000-4 000. However, the system will be noticeably slower. By the way, eight monitored by PWM versions of the GeForce GTX 1050 studied in detail in this article. Options to improve starting build Intel considered in the baseline configuration. This rule applies to all systems except for the extreme build, as it uses the same platform: Intel LGA1151-v2 AMD AM4. For the second month in the starting Assembly used AMD CPU Ryzen 2200G 3 instead of a 4-core chip Ryzen 3 1200. At about the same price new processor is faster, although it is half the volume cache of the third level and only 8 lines PCI Express 3.0. Affects noticeable difference in clock speed — 400 MHz. And in 3 2200G Ryzen no two CCX with slow connection and the latency L2 and L3 caches has declined. This CPU officially supports RAM DDR4-2993. High frequency RAM is needed primarily for integrated graphics Vega 8, but is applied much more productive the GeForce GTX 1050 Ti. Therefore, in the starting build I recommend 8 GB of RAM DDR4-2400. Take modules to Samsung, as they quietly dispersed to the effective frequency 3066-3200 MHz. Overclocking RAM on motherboards for Intel processors Coffee Lake is available only on decisions based on the Z370 chipset Express. 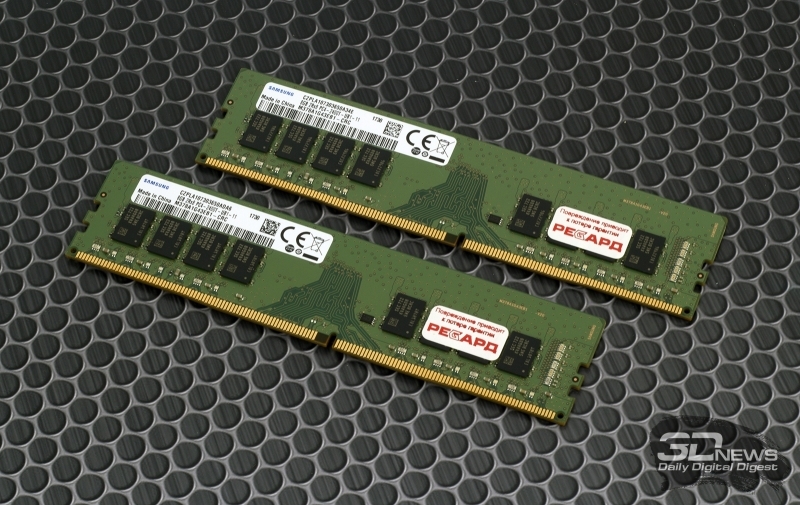 The Pentium and Core i3 support RAM DDR4-2400, Core i5 and Core i7 DDR4-2666. Overclocking memory on the platform AM4 is available in motherboards based on chipset A320. However, the starting Assembly of the AMD, I recommend using all of the same card on B350-chipset. With their help you will be able to overclock more and the CPU, as all Ryzen equipped with an unlocked multiplier. Practice shows that with a slight increase in voltage and using the box cooler you can get a stable 3,7-3,8 GHz. 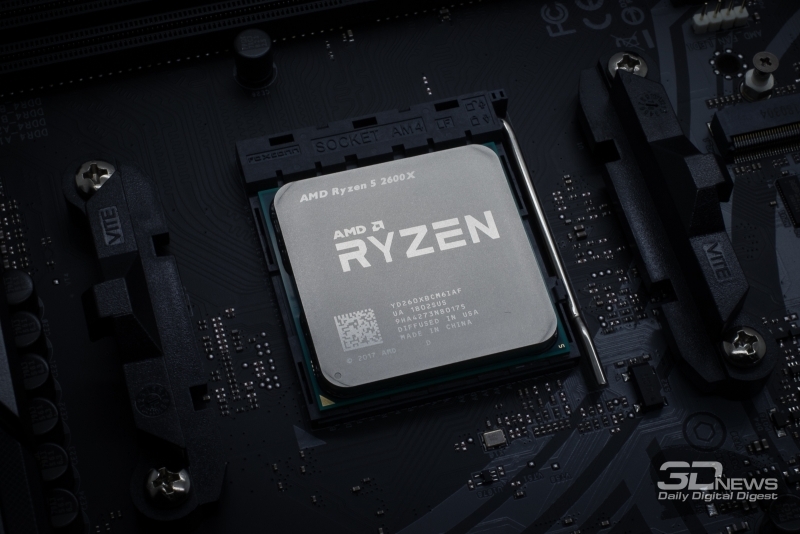 Note that the chips Ryzen Ryzen 2200G 3 and 5 2400G, as well as other models Ryzen 2000-series compatible motherboards based on chipsets A320, B350 and X370, however, in order for the device to recognise the CPU, you must update the firmware. This can be done with these CPU Ryzen first-generation or having to reflash the firmware in the warranty Department of the store. By the way, on the boxes of new boards will be affixed an appropriate sticker indicating that the correct version of BIOS already installed. Last month on our website an overview of the ASRock Fatal1ty Gaming AB350-ITX/ac is the most affordable fees on the basis of form factor mini-ITX compatible processors Ryzen. 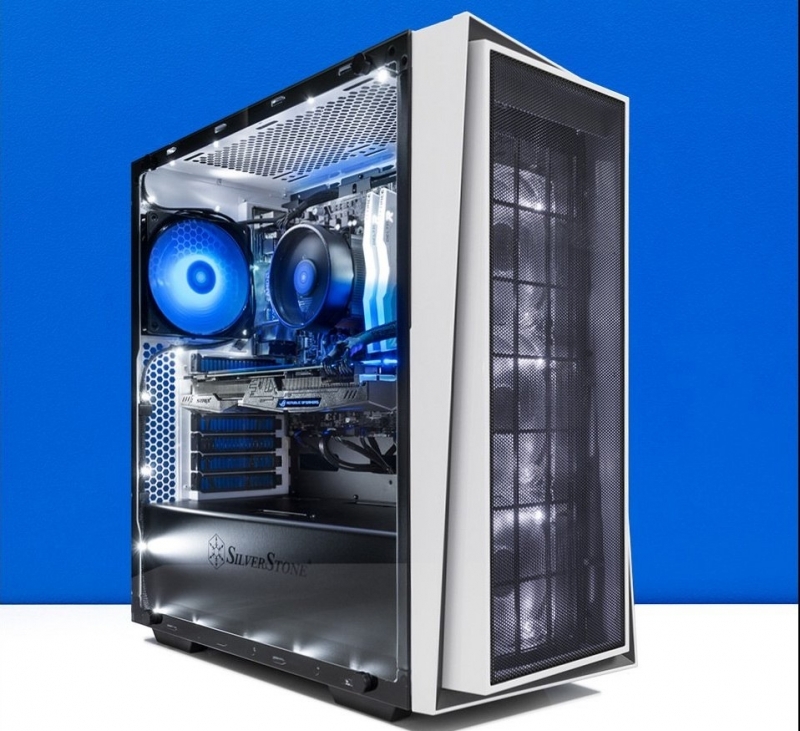 With its help, you can collect as compact a gaming PC and a HTPC. Cusp of such systems was considered in the March edition of “Computer of the month”. And on our website an overview of the low cooler Noctua NH-L9a-AM4, NH-L9x65 SE-AM4 and NH-L12S designed for just such a PC. All three models cope with the heat 65-watt narisovano Ryzen 7 1700. Options to save on the CPU as part of the build AMD I still don’t see. Chips Bristol Ridge is inferior to the Quad-core models Ryzen Ryzen 2200G 3 and 3 1200 — in their “Computer of the month” I hope I never will. If 3 2200G Ryzen Ryzen 3 is better than 1200 at a comparable price, 5 2400G inferior Ryzen Ryzen 5 1500X. The last four times more than a tertiary cache (16 MB), 16 lines PCI Express x16 and a comparable clock frequency. Ryzen 5 2400G draws its integrated graphics Vega 11, which in terms of performance (when using high frequency RAM) is comparable to the discrete “plug” GeForce GT 1030. But in our assemblies is always applied faster integrated graphics. Therefore Ryzen 5 1500X (11 000 rubles) is an excellent alternative Ryzen 3 2200G, if you suddenly decide to get a more powerful chip. A reference Assembly “settled” exclusively 6-core model. Processor AMD 1600 Ryzen 5, 6 cores and 12 threads, 3,2 (3,6) GHz, 8+8 MB L3, AM4, OEM 12 500 RUB. Intel Core i5-8400, 6 cores, 2,8 (4,0) GHz, 9 MB L3, LGA1151-v2, OEM 13 000 RUB. • Samsung M378A1G43EB1-CRC 13 000 RUB. • ASUS STRIX-STRIX-RX570-4G-GAMING 23, 000. • Kingston SUV400S37/120G 3 500 RUB. Total AMD — 67 500. Intel — 68 000 rubles. Configuration within the base Assembly is not only more productive okazyvayutsya previously discussed systems AMD and Intel, but also offer the user an increased “comfort”. This is due to adding in block SSD and 16 GB RAM. Last month in the reference Assembly used AMD Quad core CPU Ryzen 5 1500X. As I said, at a comparable price it looks attractive and 5 2400G Ryzen, Ryzen 5 1400. This time in the basic configuration, I recommend to use a proprietary Ryzen 5 1600, the frequency of which you can calmly increase to 3.7-3.8 GHz without dramatically increasing energy consumption. I would’ve used in the Assembly model Ryzen 5 2600, but in early may it was worth significantly more than 1 500-2 000 rubles more expensive Ryzen 5 1600. In General, we obtain the following picture — the basic, optimal, advanced, maximum, and extreme builds of AMD are preferable when performing demanding multi-threaded tasks. In the games will typically be faster than the Intel configuration. In fact, the above fully applies to opposition Core i5-8400 and Ryzen 5 1600. The AMD processor is faster Intel processor in such tasks as web surfing, video transcoding and rendering graphics. In the games booth with a Core i5-8400 is faster. However, in the stand used NVIDIA Titan X. Together, for example, with the GeForce GTX 1060 6 GB the situation will be different, as this 3D-accelerator noticeably slower in games. Therefore, the difference in performance between the systems will be less noticeable. The attentive reader will have noticed that the table shows not only model GeForce GTX 1060 6 GB, but 4 GB version of Radeon RX 570. Yes, AMD’s graphics cards are becoming more affordable. If to choose between these two models, that is looks NVIDIA. It has more VRAM, and GP106 in games is faster Polaris XL 20. Unfortunately, the Radeon RX 580 8 GB already costs significantly more than the GeForce GTX 1060 6 GB — 5 000 rubles on average. Is it possible to save in the base Assembly Intel CPU? For example, to take instead of the Core i5-8400 Quad-core Core i3-8350K (12 000 rubles). This chip has an unlocked multiplier and, unlike the Core i3-8100 has 2 MB more cache in the third level (8 MB vs 6 MB). However, to reveal the full potential of this CPU, you must purchase a mother Board chipset Z370 Express and a quality cooler. But even overclocked to 4.5 GHz Core i3-8350K inferior to the Core i5-8400 not only in demanding multi-threaded tasks, but also in games. Consider replacement of shestiyadernik a Quad inappropriate thing to do. “How to organize a disk subsystem in my PC?” — the question of large-scale and individual. As they say, how many people — so many opinions. One users can have the system SSD in the 240-256 GB. Others give in each Assembly hard drives with a capacity of several terabytes. Opinions are different, and, I think, incorrect version of nicnet. In the “Computer of the month” only General guidance. For example, when assembling the initial configuration the first time it is possible to do without the SSD. Just available a small budget is better spent on CPU and graphics card. But in expensive assemblies already want to “partake” of technological progress in full — here without fast NVMe drive not do. The basic build is simple, inexpensive SSD with SATA 6 GB/s, which is however much easier life for the user. By the way, in the Assembly on the Intel platform as a possible alternative to a small SSD can be considered drive Intel Optane Memory, which will allow to quicken the configuration with the HDD due to cache hits. But in this case mandatory need motherboard chipset B360, H370 or Z370 Express. Our tests show that the use of this option is good because the user does not need to choose which programs to put on a fast medium or a slow hard disk. Optane speeds up frequently used files automatically. In the sale you will find a set of “processor + Optane 16 GB”. Kit Core i5+ 8400 is an average of 16 500 rubles. The “plus” in the title just says that the kit consists of CPU and storage. However, a separate processor and SSD are 1,000 less. System that is able in most cases to run a particular game at the maximum graphics quality settings in Full HD resolution. Processor AMD Ryzen 5 2600X, 6 cores and 12 threads, 3,6 (4,2) GHz, 8+8 MB L3, AM4, OEM 15 500 RUB. Intel Core i5-8600, 6 cores, 3,2 (4,3) GHz, 9 MB L3, LGA1151-v2, OEM 16 000 RUB. • AB350 ASRock Fatal1ty Gaming K4 6 500 RUB. • MSI Z370-A PRO 8 500 RUB. • Corsair CMK16GX4M2D3200C16 16 000 RUB. • Palit JetStream GeForce GTX 1070 38 000 RUB. • WD Blue 3D WDS250G2B0A 6 000 RUB. • Cooler Master Hyper H412R 1 500 RUB. • GD EVGA 550W 550 W 4 500 RUB. Total AMD — 94 000 rubles. Intel — 96 500 RUB. Last month in an optimum Assembly used six-core processors Ryzen 5 1600X and Core i7-8700. Readers surely have noticed that between the configurations, there was a noticeable bias towards Intel, but AMD came out much cheaper. On the one hand, in April would be more logical to add configuration AMD 8-core model Ryzen 7 1700X. In this case, when running multi-threaded tasks, the “red” system (with acceleration — so even more) would be faster than the Intel configuration. On the other hand, in games PC 1600X Ryzen 5 is no worse than the desktop with Ryzen 7 1700X. Now, considering the release of new products and increase the cost of the components, in an optimum Assembly of the present model Ryzen 5 2600X and Core i5-8600. Immediately draw your attention to buy Ryzen 5 2600X processor makes sense to those who are not going to overclock anything. So, when 12-threaded load the CPU operates at a frequency of 3.95 GHz technology Precision Boost 2 and XFR2 are doing their job. Yourself we managed to overclock Ryzen 5 2600X just to 4.15 GHz. Unfortunately, the transition to 12-nanometer process technology slightly increased overclocking frequency potential of the “red” chips. At the same time, it became clear that the generation of the Pinnacle Ridge became more power hungry and hotter. The situation came to comic: overclocked to 4.15 GHz Ryzen 5 2600X inferior in some games himself, working in the default mode. Why is this happening, quite obviously. Technology Precision Boost 2, XFR2 is so intelligent that when the games load, which almost never can use all the cores of a multicore processor, they are very aggressive increase the frequency and output of the older Pinnacle Ridge is a step above the limit which is achievable by simultaneous manual overclocking all cores at once. It turns out, overclocking the flagship Ryzen 2000-series devoid of practical meaning. But the younger AMD you need to disperse. If you have the same opinion, instead of Ryzen 5 2600X can purchase but at least Ryzen 5 1600 — if you have good cooling it will probably reach a stable 3.9 GHz. Together with the chips Ryzen 5 2600/2600X and Ryzen 7 2700X “red” has officially unveiled a set of logic X470. Until the sale came only a small number of motherboards built on this chipset. From X370 solutions they differ slightly. We are also within the starting, basic and optimal Assembly interested in the younger set of logic — B450, but boards based on it will appear later. So in may I again recommend low-cost solutions on a smaller chipset B350, so as to disperse any of the listed Ryzen chips is enough motherboards based on this chipset. Again, to pay for a more feature-rich chipset X370 makes sense only for arrays support AMD CrossFire and NVIDIA SLI according to the scheme x8+x8 PCI Express 3.0. As an example, the table shows the following devices: ASUS PRIME B350-PLUS B350 PLUS MSI GAMING, Gigabyte GA-AB350-GAMING 3 or ASRock Fatal1ty Gaming AB350 K4 — a comparative review of these boards is on our website. To Boost Precision 2 and XFR2 worked in full force, it is necessary to effectively cool the processors. Core i5-8600 should also be paired with a good cooler. The chip has an unlocked multiplier, but the system still uses the motherboard chipset Z370 Express. The fact that only these devices support the MultiCore technology Enhancements. When activated, it removed restrictions on the marginal consumption, and this gives the processor the ability to do without compromising speed under high load. That is, when you load all six cores of the Core i5-8600 will always operate at a frequency of 4.1 GHz with no overheating. Devices based on chipsets H310, B360 and H370 this function is not supported. I note that much depends on the type of load on the CPU and from the CPU. We have examined in detail the working principle of MCE on the model Core i5-8400. If you build the Intel Board was used on a smaller chip, it would have to take RAM standard DDR4-2666 — frequency modules work on the declared frequencies only with motherboards based on the logic Z370. But in this case we can install a set of RAM DDR4-3000/3200. In my opinion, the options to save under the optimal Assembly Intel is very, very obvious. First, instead of the Core i5-8600 can take any Junior six — core model up to Core i5-8400. And therefore, to abandon Z370-card in favor of the budget decisions on the market, H370, B360 or H310 Express. Core i5-8600K (18 000), it makes sense to take only for overclocking, because when you load all six cores it runs on exactly the same frequency as the Core i5-8600, but has a higher TDP — 95 watts. With the acceleration of our sample of Core i5-8600K at once has not worked: the maximum frequency at which our specimen was able to undergo stress testing in LinX 0.8.0, was 4.6 GHz. Further — overheating. In General, once again come to the conclusion that scalping will be useful for any Coffee Lake. 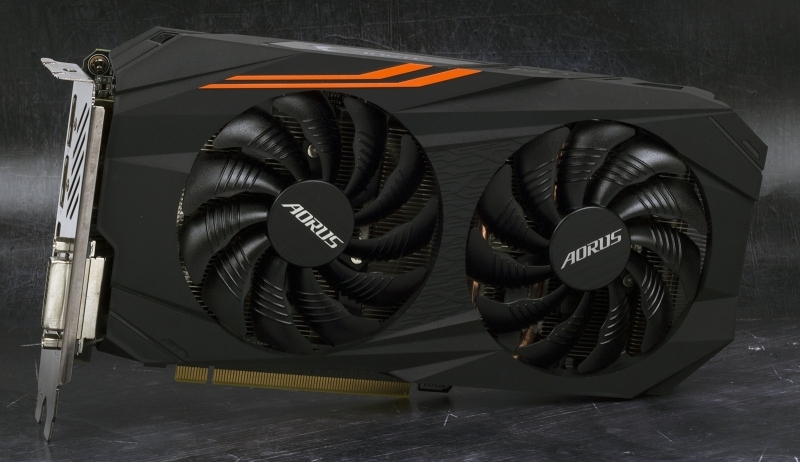 If Radeon RX Radeon RX 570 and 580 more can be found at (relatively) reasonable prices — at least 4-Gigabyte model, the Radeon RX Vega 56 even in may, is unreasonably expensive. The model — GIGABYTE Radeon RX Vega 56 GAMING OC — the average in Moscow retail cost of 43 000 rubles. Well, the GeForce GTX 1070 can be bought much cheaper over 38 000 on average, and 34-35, 000 in the case of this model as the Palit Dual (NE51070015P2-1043D). The Palit, by the way, very popular in our country. I think the reason for such love of Russians to this manufacturer known to all. I am sure that such processors as Ryzen 5 2600X and Core i5-8600, fine including graphics class GeForce GTX 1070 Ti, Radeon RX Vega 64 and GeForce GTX 1080. Finally, the optimal Assembly back SSD in the 240-256 GB. SSD Samsung EVO MZ 860-76E250, 545s Intel SSD and the Crucial MX500 will be a great companion terabyte hard drive. Of course, these configurations will look great and the previously mentioned model 960 Samsung EVO or Intel 760p. Just keep in mind that these SSD of the same capacity are an average of 1 500-2 000 rubles more. Or, conversely, you can save about three thousand by purchasing a SATA model smaller volume.